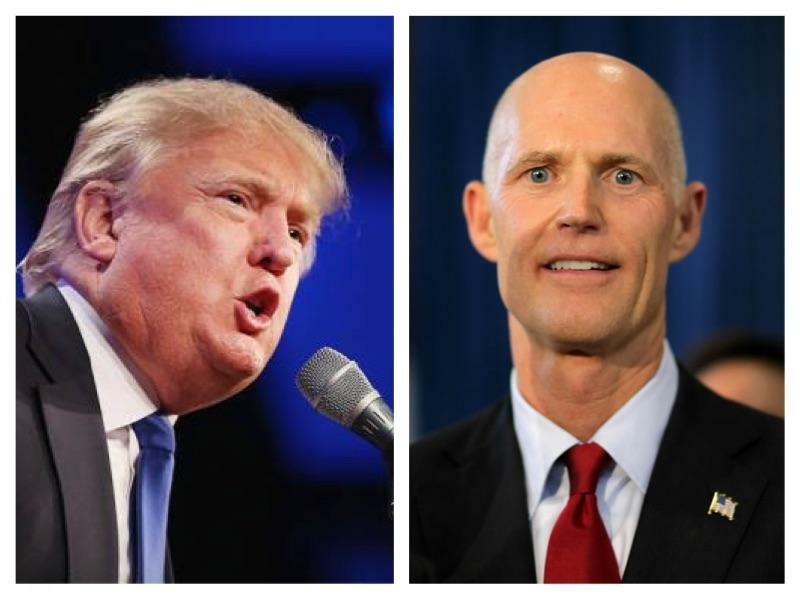 Trump/Scott: Two Floridians On The GOP Ticket? Dave Dunwoody reports on buzz that Florida Governor Rick Scott could join a Donald Trump GOP ticket. Now that Donald Trump’s path to the Republican presidential nomination is unimpeded, the talk about possible running mates is beginning to ramp up. One of those names being mentioned is Florida Governor Rick Scott. Scott waited until after the March 15 Florida primary to endorse Trump, explaining his reasons on Fox News Channel. “The voters have picked Donald Trump, it’s time to coalesce behind Donald Trump because we’ve got to win in November,” Scott said. The Governor also appears to be downplaying the issue. He tells Politico that if offered the place on the ticket, he would decline. But Susan McManus, a political scientist at the University of South Florida, says Donald Trump and Rick Scott do share some common threads. “They’ve both been successful businessmen, and their whole political careers, both short, have been about improving the economy and the ‘jobs, jobs, jobs’ theme as one that we’re seeing [as a] very, very high priority in almost every exit poll of every state primaries held so far,” said McManus. Florida is considered a swing state, and if Trump, through Scott, can get a toehold here it may work to his advantage. But McManus isn’t sure that running mates do that much for presidential candidates anymore. One drawback in placing Scott on the ticket is the Governor’s low approval rating: currently 39% according to the firm Public Policy Polling. McManus says that’s reflective of the divided nature of Florida politics. In some circles, the speculation over Scott possibly joining the Trump ticket is mashing up against other speculation: that he may challenge Bill Nelson for the Democratic incumbent’s U.S. Senate seat in 2018 when Scott terms out as governor. USF’s Susan McManus says stay tuned. “We could not be so lucky,” he said. U.S. Rep. Jeff Miller is hoping the third time is the charm when it comes to endorsing Republican presidential candidates. He’s now going with Donald Trump. Miller, who’s retiring after his eighth term in the House, first threw his support to former Florida Gov. Jeb Bush last year. Republican Marco Rubio ended his campaign for the Republican nomination for president Tuesday night, after a humiliating loss in his home state of Florida. Billionaire Donald Trump took Florida and its 99 delegates, with a 46-27% win over Rubio. Ted Cruz was third with 17% with John Kasich – who won his home state of Ohio over Trump – with only 7%. The last round of voting in Florida’s Presidential Preference Primary is set for this Tuesday, Mar. 15. Early Voting in the state ended over the weekend. But, before it wrapped up, WUWF News caught up with a sampling of voters in Santa Rosa County. “I voted for Donald Trump,” said Pea Ridge resident Daniel Womack, who voted early at the Santa Supervisor of Elections Office on Saturday. He says ‘beyond all the rhetoric and antics’ he thinks Trump’s message reflects what a lot of Americans are feeling. Donald Trump should not carry the Republican presidential banner into the November election: that from the last man to do so. Mitt Romney sought Trump’s endorsement when he was the 2012 Republican nominee. But Thursday he told an audience at the University of Utah that if Republicans choose Trump to be their presidential nominee, "the prospects for a safe and prosperous future are greatly diminished." With Super Tuesday in the rear-view mirror, Republican presidential candidate Marco Rubio is looking ahead to the Florida Primary on March 15, considered by many to be essential to his campaign, while continuing to attack front-runner Donald Trump. Speaking Tuesday night to supporters in Miami, Rubio said his campaign had just begun making a case against Trump.